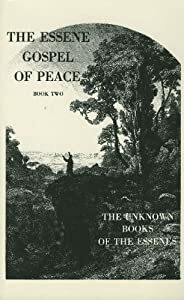 Having acquired all four of the Essene Gospel of Peace books, I have come to find Book II both compelling as well as enlightening beyond my wildest expectations! In easy to read translations, Edmond Bordeaux Szekely has added great wisdom and insight into our modern day world. One will not find it hard to understand these translated ancient scriptures in the least! For anyone even remotely interested in the Essene's, their scriptures translated from the Dead Sea Scrolls or anyone interested in exploring new paths toward Peace, I recommend this Book as well as the full series hands down! Well worth the money as well as time spent reading you will not be disappointed! Do something good for yourself and your soul and get these books!